The news that, after 106 years, Captain Scott’s fruitcake was found by the Antarctic Heritage Trust and “smelled edible”, raises the question: are there other foods that have similar staying power? The answer is, yes, several. In 2015, archaeologists reported that they’d found 3,000-year-old honey while excavating tombs in Egypt, and it was perfectly edible. 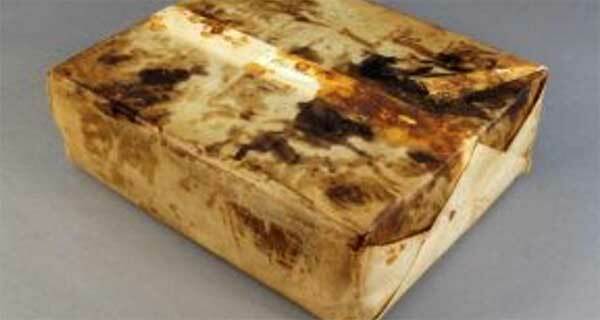 This durability is thanks to the unique features of honey: it is low in water and high in sugar, so bacteria cannot grow on it. Honey also contains small amounts of hydrogen peroxide, which inhibits growth of microbes. This is partly why bees produce it for the young in their hives – it is both food and protection. As with honey, the key to a long shelf-life is processing and storage. Drying pulses increases the pulses’ sugar concentration and lowers their water content, which makes it hard for bacteria and moulds to grow on them. Also, any enzymes that would naturally break down the product after harvest are put into suspended animation. If the container is airtight, they will last for years and still be a great source of protein. If you allow water in, however, then they will only last a few months. Soy sauce has the potential to last at least three years. The combination of its salt content and being fermented means that, if it is unopened, it should have a very long shelf life. How long it will last depends on the type of soy sauce and, once opened, the temperature it is stored at. If it does go off, it is likely to be due to mould growing around the lid. Some may argue vinegar is in fact already spoiled wine or cider. But its acidic nature, traditionally achieved using Acetobacter bacteria to ferment it, means other bacteria struggle to grow in it, and so it can last a very long time. While white vinegar will remain almost unchanged indefinitely, other vinegars may change colour or produce a sediment. Typically, this will not affect the safety of the product, just the appearance and perhaps flavour. White rice has been eaten after being stored for 30 years in tins, with the parboiled rice then passing a tasting panel test. What appears to be key for rice is atmosphere and temperature. Studies have reported that a low temperature (about 3℃) and a lack of oxygen appear to be important for its longevity. Brown rice, although often considered to be healthier, has a shorter shelf life. Its fibrous bran contains unsaturated fats, which can turn rancid. So if your brown rice is oily and smells like old paint, it’s best to throw it away. There is some debate about whether chocolate goes bad. The addition of milk to chocolate may reduce its shelf life. But dark chocolate appears to last better, despite not always looking like it has. This could be because, if it is not stored at a constant temperature, the fat can rise to the surface, leaving a bloom that looks a bit like mould.